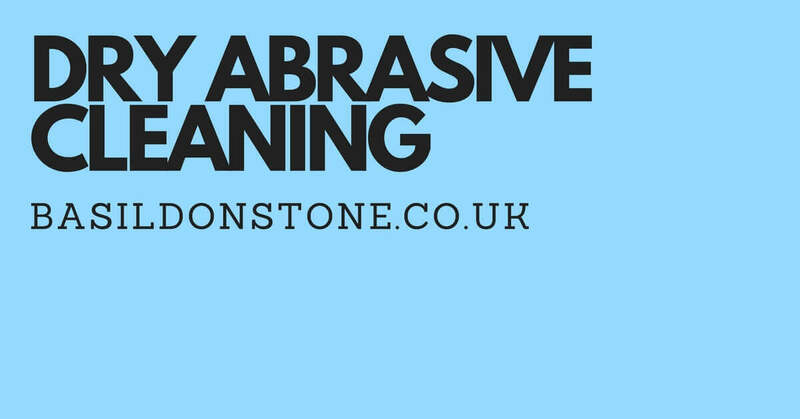 Basildon Stone’s abrasive blast cleaning service could be the solution you are looking for. Many factors contribute to a building becoming dirty over the years. Dirt and grime build up quickly, and pollutants leave their mark on old buildings all over the country, especially in busy, bustling cities. It can be incredibly tricky to clean these old buildings, as brickwork and masonry are a lot more delicate than you might think. The decision to clean an old, historic building can often lead to damage and negative impacts. Abrasive cleaning is a popular technique for cleaning old buildings that utilises streams of abrasive materials, propelled against a surface under high or low pressure. Blast cleaning is the perfect solution for removing non water-soluble stubborn stains such as carbon buildup, lime-scale or paint, and can be used on bricks, masonry, and even beams in walls. Abrasive cleaning can also help you expose brickwork effectively for design purposes – show off your internal walls and turn brickwork into a feature, for example. As wet abrasive blast cleaning and dry abrasive experts in the London and Essex region, we have cleaned many old, historic buildings, and our work has resulted in many of them returning to their former glory. Our dry abrasive blast cleaning in London techniques require no nasty, harmful chemicals, and our experience enables us to use the perfect pressure to clean while avoiding causing damage to brickwork or masonry. If you’re a building owner or manager that needs to give your property a makeover and remove the buildup of dirt, grime, and pollutants, don’t hesitate to give us a call. Whether you’re looking to restore your building’s appearance, conserve the current masonry and brickwork, or just give your building a lift, allow us to offer you a wealth of experience & knowledge built up since our inception in 1989. We appreciate that blast cleaning old buildings can be incredibly stressful, and all our teams are trained to work with the utmost care and attention to ensure the safety of your masonry and brickwork. There is a delicate balance to strike between the need for abrasive cleaning and the need for sensitivity, and we strive to give you the perfect finish using safe and environmentally friendly solutions. If you have a building that is looking a little worse for wear and intend on restoring it to its former glory, please feel free to call us for a free quote. We can help you bring your building back to life with our high-quality service and even return it to its former glory. Whether you are seeking to clean external masonry or internal beams, our abrasive cleaning service is sure to help. With recent work completed on Buckingham Palace and the Treasury building, our record speaks for itself. We know we are trusted by owners and institutions that reside in some of Essex and London’s most important buildings.